Bill wasn’t born in Texas but moved there as a teenager and always idolized cowboys and the Texan spirit. 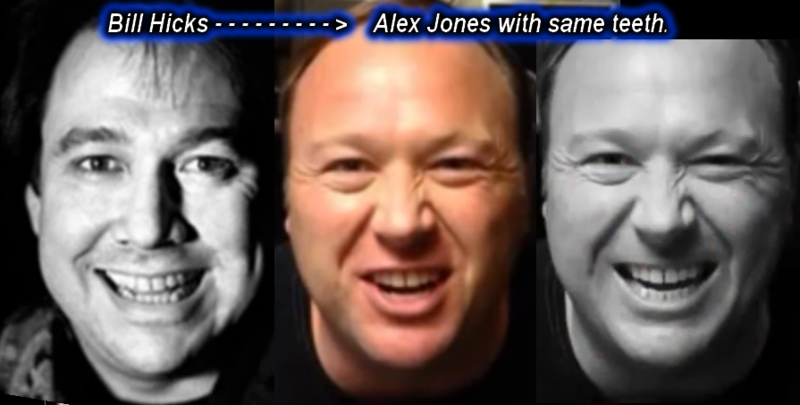 Bill allegedly died of cancer in 1994 but he had no public funeral; Alex came on the scene shortly after Bill’s passing and has no verifiable history before 1994. 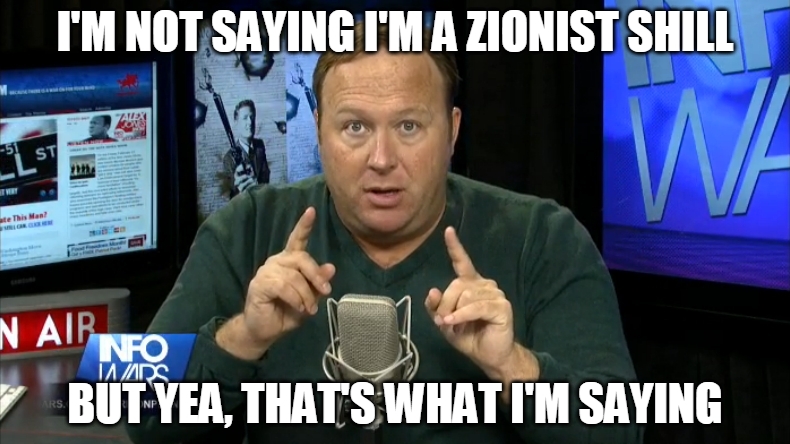 Alex claims to have gone to Anderson high school but when people call up, Anderson says they have no record of him. Bill Hicks’ best friend, camera man and producer, co-creator of Sacred Cow productions, was Kevin Booth. 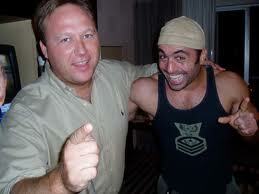 Shortly after Bill’s passing, Kevin became Alex Jones’ good friend, camera-man and producer! 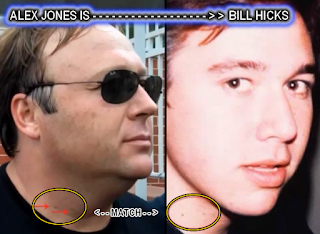 Bill, Alex, and Kevin were all 3 very outspoken and involved with the Waco, Texas Branch Davidian debacle and there exists video of Kevin and Bill in 1993 outside the Davidian house before the final conflict but no video of Alex. However, a year or two later after Bill’s passing, Kevin was out there again, this time with Alex filming a Waco documentary and rebuilding the Waco church! 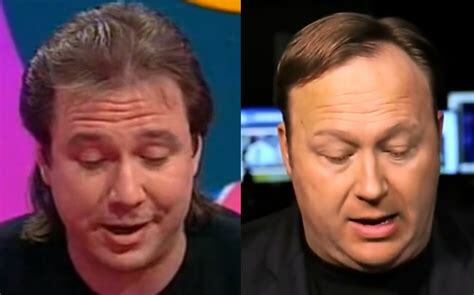 You can also see here at a Bill Hicks’ 10th Anniversary event, Kevin Booth gets on stage, shows a Hicks’ documentary then says with a smirk, “maybe in some way Bill Hicks is still here with us now” and presents a framed plaque with Bill’s portrait to none other than Alex Jones! WTF!? 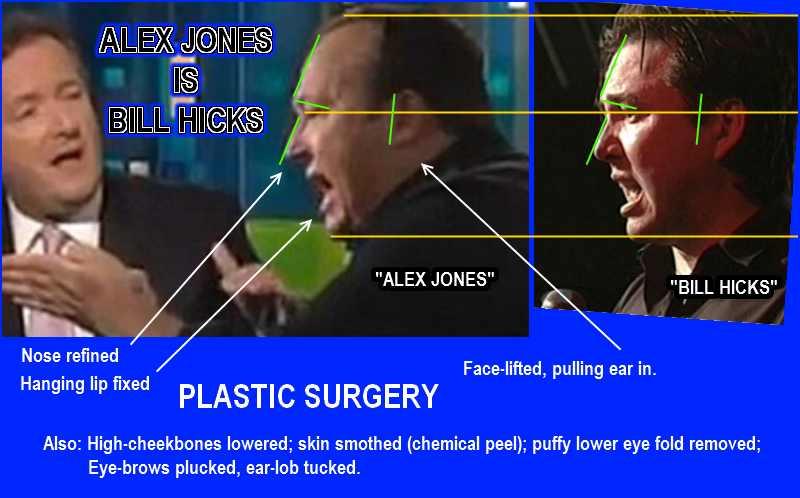 Alex claims to be only 39 years old right now, though even after all the plastic surgery, he still looks considerably older. 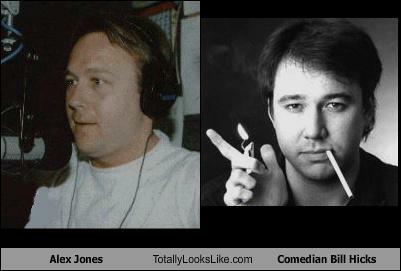 If he was really Bill Hicks then Alex would be 53 now which is closer to Alex’s apparent age. 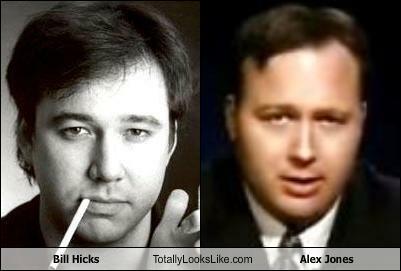 Bill Hicks was also a long-time cigarette smoker and Alex claims to have fought a life-long battle with cigarette addiction himself. Their names even follow the same 4-letter 5-letter pattern, Bill/Alex Hicks/Jones. 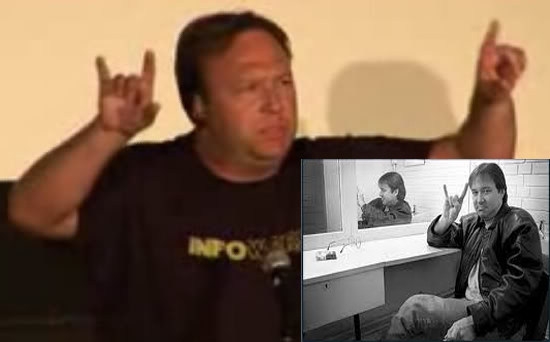 Director Richard Linklater was a big fan of Bill Hicks and lamented never being able to work with him, then later Linklater launched Alex Jones’ film career giving him roles in Waking Life and A Scanner Darkly. 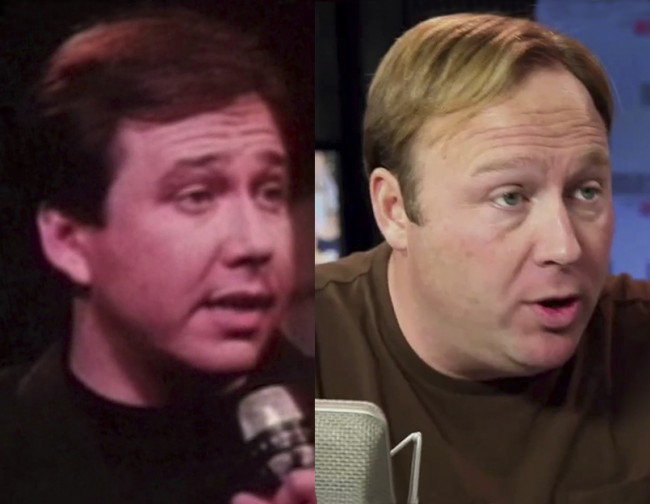 Bill was well-respected in the comedy community and today Alex is good friends with famous comedians like Joe Rogan and Charlie Sheen. 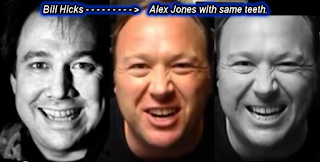 Bill was also a big fan of Andy Kaufman, the comedian who would go to great lengths to disguise himself and create separate personas, much like it seems Bill is doing with this “Alex” character.